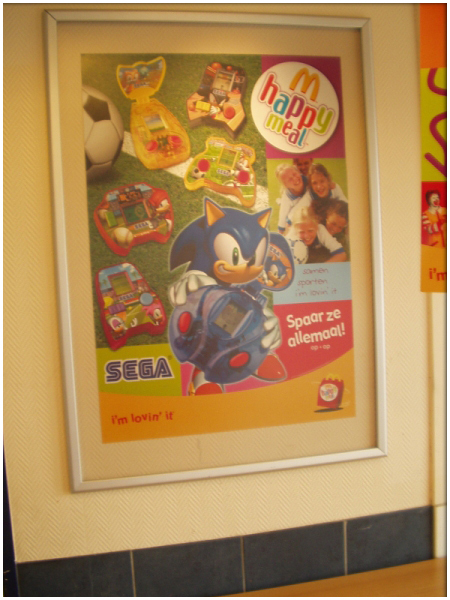 Hmm, seems like only yesterday I did the last SEGA Happy meal special. 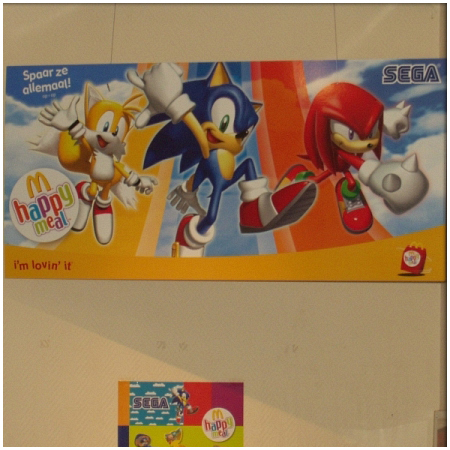 Well, as SEGA released yet ANOTHER happy meal, and this month they were doing them here in Holland, here's another look at them. Look! 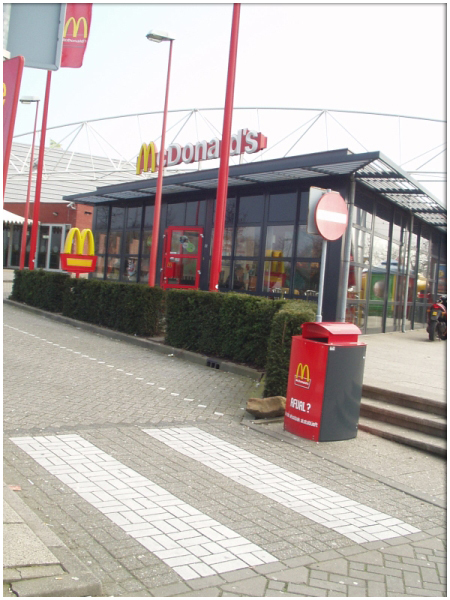 A picture of a McDonald's branch! 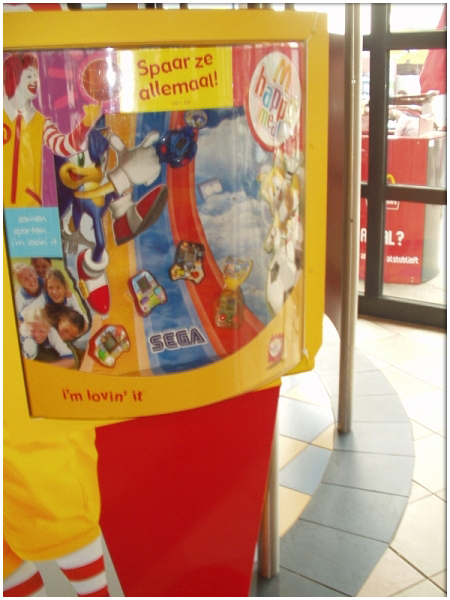 Steal it! Yeah, yeah, not too bad a poster. 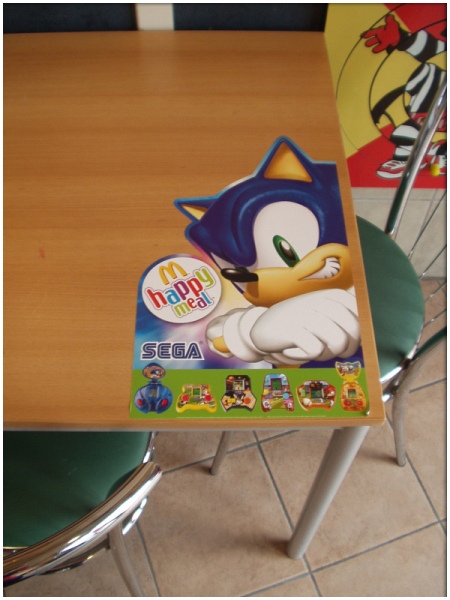 Even the blinkin' tables were plastered with it! I should've ripped this one off, but walking out with it wouldn't go unseen. 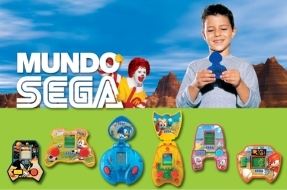 Most of the toys. 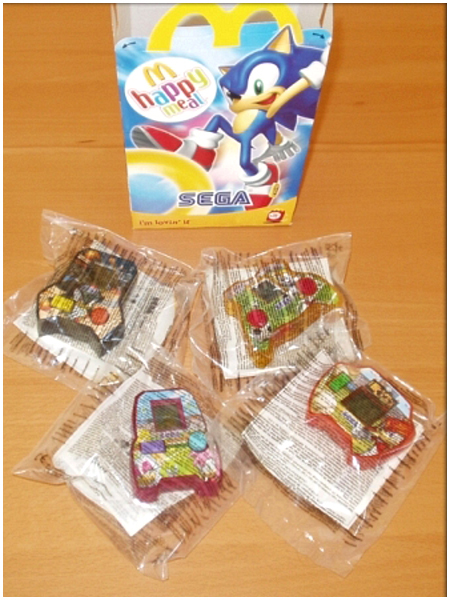 Sonic was naturally not in stock D'OH!